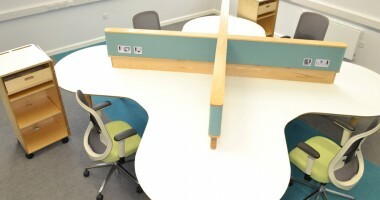 Each unit comes covered in Camira Blazer Lite fabric to your chosen colour. 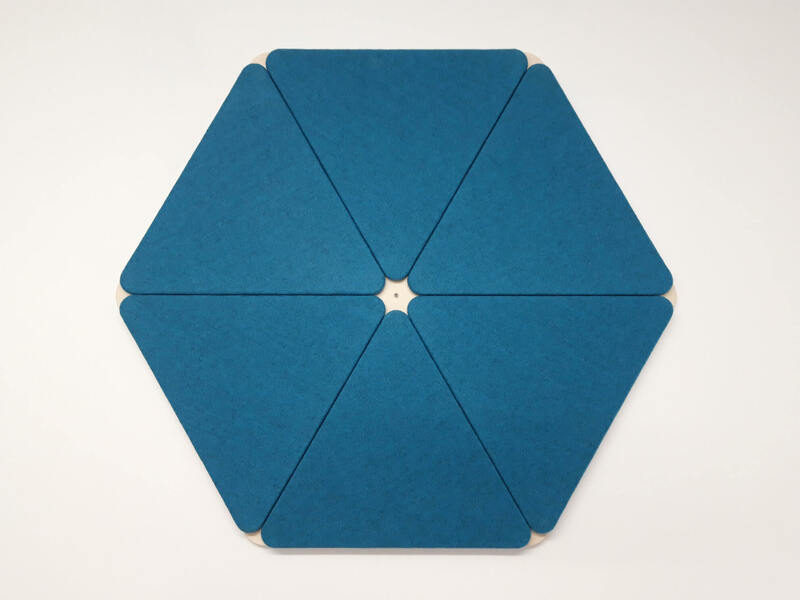 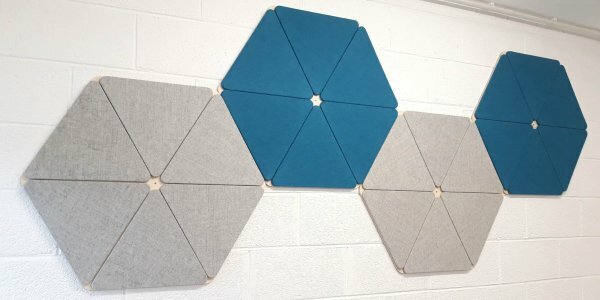 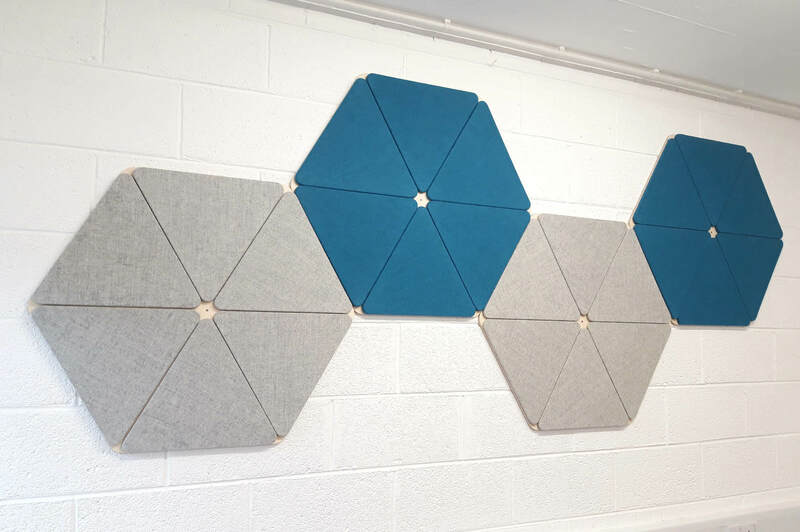 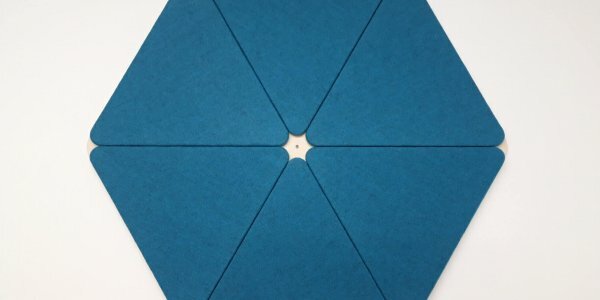 The acoustic board is a 100% recycled cellulose fibreboard which in turn is mounted to a lacquered Birch Plywood base panel. 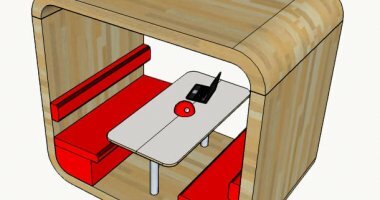 All components are CNC cut for precision and we can offer our usual custom service for any project you have in mind. 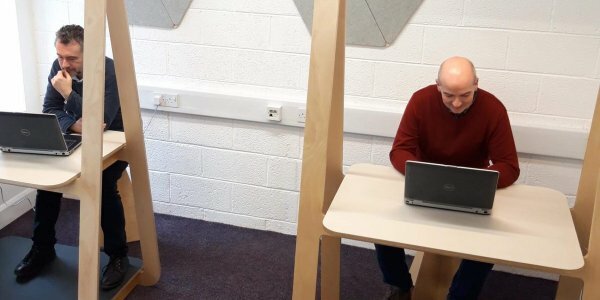 As with all our products we design and manufacture everything in Ireland from our studio and workshops here in the northwest. 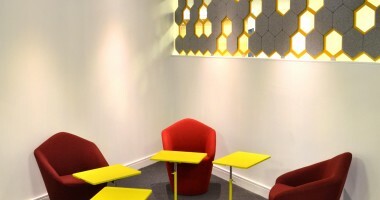 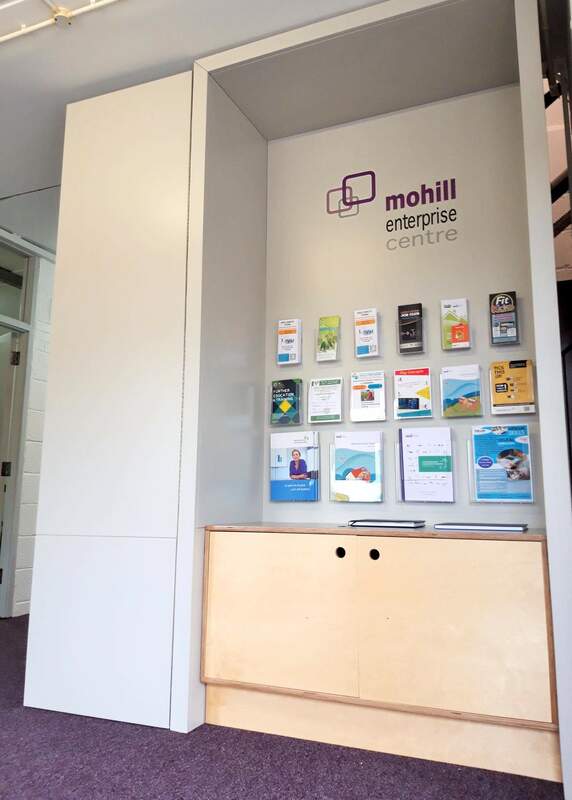 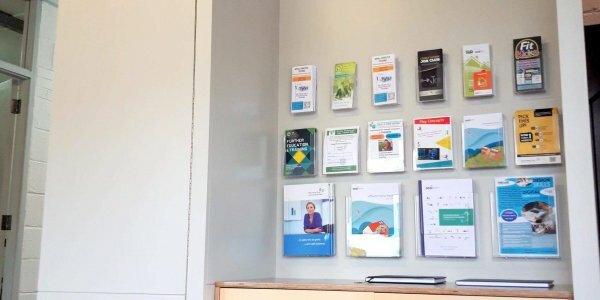 Other items for the space at MEC included a custom built display for the centre to hold all their literature and provide a key point of interest in the foyer area for visitors. 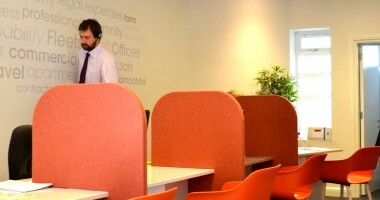 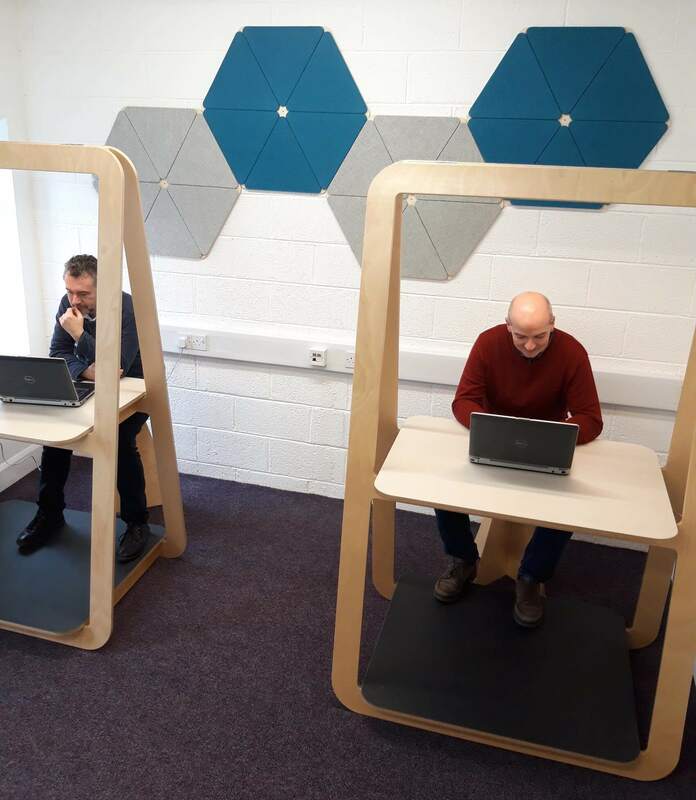 Our ‘A-Frame’ stand up workstations already provide flexible areas in which to hot desk.